Fourteen ballet students at the Fraser Valley Academy of Dance are a step closer to achieving their goals having successfully auditioned for Canada’s top ballet company schools, the most direct route to a professional career. 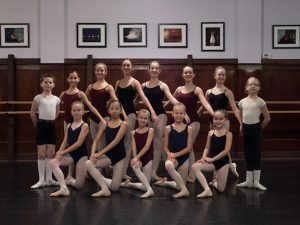 Considering how few are invited into these prestigious schools, 14 students being accepted from one ballet school in Mission is even more impressive. Isabella Almarez (Hatzic Middle School) and Jasia Greenan (Summit Learning) of Fraser Valley Academy of Dance were among the few who qualified for Canada’s National Ballet School summer session following their auditions in Vancouver. Isabella was the only student invited for her age group in an audition class of 40 students. At Canada’s National Ballet School, only 150 of over 1000 hopeful students are invited to attend the summer school. Of those, around 50 will be asked to join the full-time, NBS Professional Ballet Program. For Canada’s Royal Winnipeg Ballet School, over 500 will audition across the country for a coveted 100 places. Among those 100 selected were six Fraser Valley Academy of Dance students: Grace Loewen (Summit Learning), Isabella Almarez (Hatzic Middle School), Anna Neudorf (MEI Middle School), Priscilla Gubiotti (Robert Bateman Secondary), Brooke Thomas (Robert Bateman Secondary), and Chase Bradley (Island Discovery Learning). Anna Neudorf was honoured to be presented with a full tuition scholarship award following her audition. A seventh student, Lindsay Kim (Langley) has earned a place on the RWBS summer wait-list. 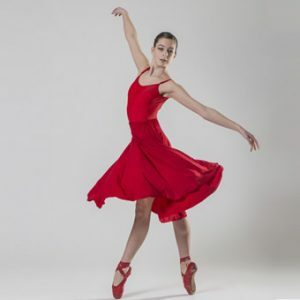 Only a handful of those attending the summer sessions will be invited to the RWBS Professional Ballet Program, where FVAD PPA alumna Marin Greenan (15) is currently training full-time. Another seven FVAD Mission-trained students have been invited to attend summer sessions at the School of Alberta Ballet: Elle Penner (Clayburn Middle School), Alycia Wilson (Summit Learning), Katherine Rogalski (Alexander Robinson Elementary), Tiffany Reitsema (Abby Middle School), and siblings Abigail Delves (Island Discovery Learning) and Andrew Delves (Island Discovery Learning). Younger sister Allison Delves (Island Discovery Learning) was too young to audition for the full program but will be attending their Junior Division summer classes while her two older siblings train at the main school. The National Ballet School and the Royal Winnipeg Ballet have long offered elite training programs for students who wish to pursue a career in dance, while the School of Alberta Ballet has been developing their professional program over more recent years. If accepted after the summer school 2nd stage audition, students are invited from academic Grade 6 to 12 to train full-time with the school. All schools have residences and offer half-day academic programs for their students which enables them to train additional hours per day in ballet. If a student graduates from the full-time program, the chances of employment are very good, particularly at NBS and RWBS. With a vast network of international contacts, 95% of NBS graduates find work in Canada or abroad. To prepare for these full-time programs, Fraser Valley Academy of Dance provides students with an ideal opportunity for high-quality training with their half-day Pre-Professional Academy (PPA) program. Artistic Director John Carney has developed his own syllabus for the Academy, merging the advanced training of the British Royal Ballet School and Russian Vaganova School, while incorporating the more basic Royal Academy of Dance syllabus. With every student currently enrolled in his PPA program successful in their audition with these top ballet company schools, the results speak for themselves. The quality of training and calibre of teaching at the Academy is exceptional, not just for a small town like Mission, or within the Fraser Valley, but across Canada. Our community has an opportunity to witness this first-hand as all of the above-mentioned students will be part of the cast of over 100 performers on stage in the Nutcracker at the Clarke Theatre in Mission on Saturday, December 3, 2016. Performances are 2pm & 7pm. Reserved seating tickets may be purchased online at www.fvad.ca or at 604-826-0097 or at the school office at 33219 1st Avenue, Mission BC. 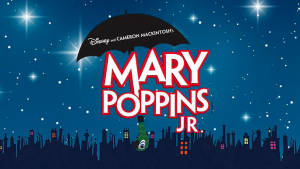 Tickets will also be available one hour before each performance from the Clarke Theatre box office. For more information about the Fraser Valley Academy of Dance, visit www.fvad.ca or call 604-826-0097.